Life isn't really lived from decade to decade, or year to year, or even week to week. For the believer, we have daily tasks as well. Sometimes in prayer, sometimes in action. Those daily assignments are for our own good as well as the good of others. As we fulfill our daily spiritual tasks, we cooperate with God's actions in the spirit realm. I tend to think in terms of weeks, or months, or years. One-day-at-a-time thinking (and planning) is challenging for me, but from what I can see in the Word, it's the best way to think in terms of stress reduction and cooperation with the Holy Spirit. My husband was laid off from his job a few weeks ago and I've been endeavoring to hold fast to the "don't worry about tomorrow" instructions. One day. Just get through today. After all, the entire world can change in a day. Thanks, Niki! I needed this today. I can sooo relate to the comic. Several days are attacking me at once! As my dad always tells me when I'm eager for some special day to come, "Don't wish your life away." I am guilty of that too, DeAnna. I often say "I can't wait until..." and then the day has come and gone and they are flying by faster and faster! I think I'm getting just a bit better about not borrowing tomorrow's trouble and taking each day as it comes. Whew, that's a tough one, but something I'm working on to. Yes, Susie, I hear ya! DeAnna, that's a good one. Something we need to tell kids for certain! Dina, it fits with those "unforced rhythms of grace"! When I worked at a high stress job in an emergency room, I used to always say on Monday morning, "I wish it was Friday." Then one day I realized I was wishing away four days of every week. Yikes. Not a good realization. Since then, I've tried not to do that. 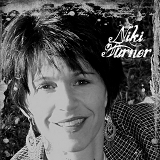 Niki, I'm praying for a job for your hubby to come his way, as well as for peace for both of you. Thanks, Suzie! We're trusting, day by day! And yes, I know what you mean about wishing the week away. Silly us... Monday can be as blessed as Friday!